Legends in Concert, the original and world’s greatest live celebrity tribute show, kicks off its first national performing arts center tour beginning October 2016. 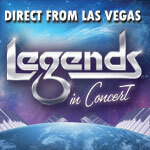 Legends in Concert will be presented for the very first time in York, PA at The Pullo Center on October 6, at 7:30 p.m. Ticket prices are $49 and $34, and go on sale August 3, at 10:00 a.m. Members can order now. Tickets can be purchased at The Pullo Center Box Office, charge by phone at 717-505-8900 or online at ThePulloCenter.com. This will be the first time in its 33-year history that Legends in Concert will hold engagements in over a dozen premier theaters in cities across America. The tour’s incomparable cast will replay the soundtracks of our lives as they bring memories back honoring the legendary Prince and his incredible catalogue of hits such as “Purple Rain” and “Kiss.” Fans will “Believe” they are turning back time with a sensational homage to Cher, while Aretha Franklin is given a tribute fit for the “Queen of Soul” bringing audience members to their feet with numbers like “Chain of Fools” and “Respect.” Show revelers will sing along with live recreations of Sir Elton John and fan favorites like “Crocodile Rock” and “Rocket Man.” A phenomenal tribute to “the Boss,” Bruce Springsteen, will take us back to “Glory Days.” The musical experience will be hosted by an extraordinary tribute to the Blues Brothers™ with their fun-filled soul music and engaging brand of comedy. During the first leg of its planned multi-year tour, the high quality production will also feature Legends in Concert’s signature video reinforcement including iconic imagery celebrating the superstars the show pays tribute to.